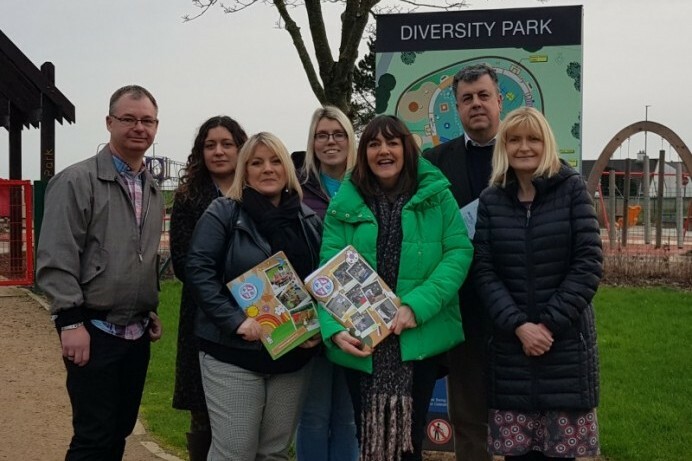 The PlayShaper programme is an element of ‘Play Matters’, a Play and Leisure Project funded through the Early Intervention Transformation Programme (EITP). 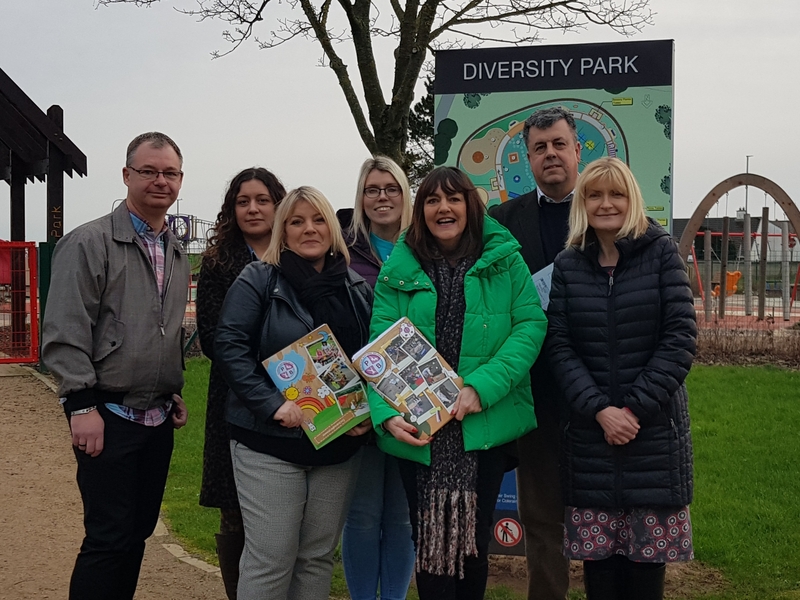 The initiative, delivered by Playboard staff, offers professional play development, training and guidance for stakeholders who directly or indirectly influence play within Council and other Statutory Organisations. Participants included local elected representatives, policy-makers, equality officers, and representatives from sports development, arts & culture, health & safety, estate development, planning officers and health professionals. The overall aim is to help professionals understand the importance of play and leisure and their part in creating child-friendly and play-friendly communities. PlayBoard staff Iain McAfee and Angie McCabe with some of the PlayShaper participants – Janet Blair, Special Educational Needs Inclusion, Education Authority for NI; Leanne Lamont, Libraries NI; Paul Lyness, Causeway Coast and Glens Borough Council Sport & Wellbeing; Margaret Edgar, Causeway Coast and Glens Borough Council Cultural Services and Karina McCollum, Causeway Coast and Glens Community Planning.